Scholars note that immigration in North America and Western Europe has been heavily regulated by heteronormative and patriarchal norms which have historically denied immigration to lesbian, gay, bisexual, trans, and queer (LGBTQ) couples. While the research regarding how LGBTQ individuals navigate the immigration process in Canada has increased, there remains little investigation into the asylum experiences of LGBTQ couples who file jointly. This is a serious oversight, as a significant number of asylum claims are joint claims by LGBTQ refugee couples. 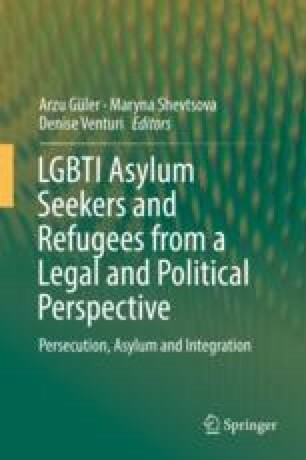 This chapter questions the reasoning behind the challenges to queer refugee couples’ claims during the migration and asylum process and argues that it is the intersection of gender and sexuality behind the vulnerability of queer asylum claimants both within their countries of origin and when they are seeking asylum. The chapter focuses on narratives of two queer refugee couples who made joint claims in Vancouver, British Columbia. I follow their experiences prior to migrating to Canada through their asylum hearing. Their stories reveal underlying heteronormative and culturally-biased institutional and social barriers LGBTQ refugee couples face in escaping persecution and having both their relationships and need for asylum recognized by the Immigration and Refugee Board of Canada.